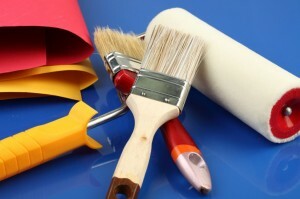 Before you hire a house painter, you first ask for a paint estimate. The cost estimate may serve as your starting point before choosing a house painter – and rightly so. The paint estimate does not only give you an idea of how much the job will cost; it also gives you an idea of how the painter thinks business-wise. After all, the painting company did put some thought before arriving at that quotation. andard minimum number for other vendors for many companies. Why is three a good minimum number? You see, when you select from a set of estimates, you do not necessarily choose a vendor based on price; you select based on how you feel the estimate was arrived at and if the estimate seems reasonable. When you look at a set of estimates, you also try to see if there is a trend among the quotations. That’s why you should have at least three. Two estimates just won’t do. Here’s an example: Suppose you have two estimates, one from A and the other from B. A quoted the job at $6,000 while B priced it at $3,000. Offhand, you will see that there is a big difference in pricing. You then may ask: Is A’s cost reasonable or is he too high? Likewise, is B a good price? Or, maybe he scrimped on labor and paint to arrive at his cost. You will not know if you only have two estimates. Suppose now that you have three estimates. Along with A and B with their estimates as shown above, you also have C who gave an estimate of $5,400. You can see that the estimators of A and C are quite close while B is way, way down. You may then scratch B from your short-list and limit your choice between A and C.
Now, it may happen that you do not find similarities even with three quotations. Let us suppose that companies A and B have the same estimates as above ($6,000 and $3,000 respectively). C however gave an estimate of $4,400 – almost at the midpoint between A and B! You may then get 1 or 2 more. You now have 5 estimates: A priced the job at $6,000; B $3,000; C $4,400; D $5,400 and E $4,950. You will see that the estimates of C, D and E are clustered close to each other. A is on the high side, though not too high, but B is definitely way, way off. You may then strike A and B off your list and have a meeting with the other three. You can see that you can get a good trending with three estimates. If not three, then 4 or 5. Don’t get more than 5 though. You might lose time just getting in touch with so many vendors. Also, you might not be able to make a decision with so many choices. If you need a painter in the Los Angeles area, we are here to help. Go for 3 estimates. Or at most, 4 or 5.